1 Thanks to Alex Blewitt for this analysis. 2 The @Version annotation is used to imply export, since only exported packages need a version. 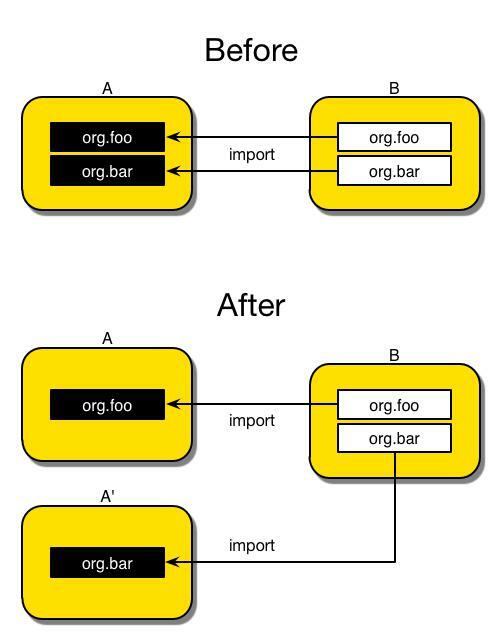 In the next OSGi release a more explicit @Export annotation is planned. 3 This area changed again on Sept 12, 2016, just before this article went to press. Dynamic exports are now replaced with a concept of “weak modules”. We are still evaluating the impact of this fundamental change, and note that it has caused a further slip of 4 months in the release schedule of Java 9. Love you guys, OSGI rules forever. I tested this a while ago. OSGi uses only standard, supported Java APIs so it *has* to work.